Scottish rock trio Biffy Clyro are to headline Edinburgh's 2010 Hogmanay celebrations in Edinburgh, it was announced today. The band, who have been hailed one of the best festival acts of the year, will play the Concert in the Gardens, the city's New Year fireworks and music spectacular. The Ayrshire boys, currently in the States on tour, are sure to receive a warm welcome when they take to the stage in the Scottish capital. With anthems such as Mountains, Who’s got a Match? and The Captain, Biffy Clyro are sure to rock Edinburgh well into the New Year. Tickets for the garden gig are to go on sale at 9am on Friday, while passes for Edinburgh's Hogmanay Street Party, which features live music, giant screens, and midnight fireworks are already available in the UK and abroad. The Concert in the Gardens begins at 9pm and runs through the bells until 1am in 2011. Ticket prices start at £40 to be within the enclosure, £35 for access to the gardens, and £15 for the Street Party. Previous Hogmanay headline acts include Madness, Groove Armada, Kasabian, Scissor Sisters, Blondie, and Calvin Harris. The 2011 Music Producers Guild Awards will take place on February 10th and nominations are now open for the UK’s biggest celebration of the creative talent and technical ability of the UK’s music producers, engineers, mixers and re-mixers. Anyone, including non-Music Producers Guild members, can nominate individuals (including themselves) for a particular award. Categories include recording engineer of the year and best live album, while the MPG is again collaborating with the Brit Awards to present the winner of its producer of the year category with a Brit. Once all nominations have been validated The Music Producers Guild’s Full Members will draw up short lists in each category and these will be judged by an official judging panel consisting of record industry experts including producers, engineers, artists, artist managers, A&R representatives, music journalists and radio presenters. Nominations are now open and will close on October 26th 2010. A new site called Mulve has emerged offering users millions of tracks to download for free, and is being described as a “nightmare scenario”. Mulve is a music download site which allows users to quickly search through a catalogue of over 10 million songs, and download them free of cost. Even though the service is illegal, infringing on millions of copyrighted songs, it has been able to stay up because its servers are located in secret locations throughout the globe. TorrentFreak reports that the downloadable Mulve client lets users pull down unlimited files from servers in secret locations - with some possibly in Russia - in a way where they will not be detected, as it does not run on P2P technology. Users are asked to make donations to run the site. The website crashed earlier today after the server was overloaded with download requests. The new free music downloading program server simply could not handle the amount of visitors and downloads being done at once. American Express and channel 4 have teamed up with DJ, producer and recording artist, Mark Ronson, to launch an exciting new competition to “uncover the UK's best music experiences”. The interactive campaign, ‘My Live Story’ celebrates the power of live music to entertain, inspire and create lasting memories whilst also highlighting American Express' involvement in live music. The project draws attention to American Express’ award-winning 'Preferred Seating' programme, which is available to its cardholders. Entrants are invited to share photos, videos and memories of their favourite music experience online in one of three categories: My Shared Story, My Memorable Story and My Inspired Story. The campaign will reward 21 lucky winners by turning their experiences into a short film which will be aired on national TV towards the end of the year. American Express has selected a unique mix as the film’s directing team: director Toby Dye, of Ridley Scott Associates, and Ronson, who will collaborate on the soundtrack. Mark Ronson will also perform at a private red-carpet screening of the film for the 21 campaign winners, organized at Abbey Road Studios in November. Other music related prizes – such as tickets to the Relentless Freeze Festival and T4's Stars of 2010 – will also be awarded as the promotion gets underway. One lucky person will be in with a chance of winning the grand prize of a once-in-a-lifetime VIP trip to the Grammy Awards in Los Angeles. Emma’s Imagination – 27-year-old Emma Gillespie from Glasgow – has won Sky talent show Must Be the Music, after a spectacular final at Wembley Arena. Gillespie performed two self-penned songs; Focus and This Day, to beat off competition from the other five finalists live in front of an audience of 10,000 people. The singer-songwriter was so overcome with emotion she was unable to perform her winning song, This Day. Judge Dizzee Rascal joined Gillespie onstage to help her out. Studio versions of all the tracks performed at the final were immediately available to download on iTunes and Sky Songs. By the end of the show, Emma's Imagination had gone to number 12 in both the iTunes chart and the alternative chart. Gillespie wins £100,000 and advice to help kick start her music career. 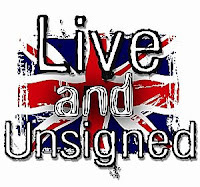 Live and Unsigned is the largest national music competition for original artists; bands and solo artists. Over 10, 000 acts from across the country enter every year... Are you good enough to enter? Auditions will be held around the country in London, Sheffield, Manchester, Brighton, Newcastle, Glasgow, Ipswich, Cheltenham, Fareham, Bedford and Aldershot. Auditions will begin in January 2011; however there are only a limited number of places, so register early if you want to be in with a chance. Each act will perform, in front of a prestigious judging panel, a live piece. Successful acts will be given a place in the regional final. You will perform an original track with your band or backed by a backing track in front of a live crowd, battling for a place in the Grand Final and the Live and Unsigned Festival. 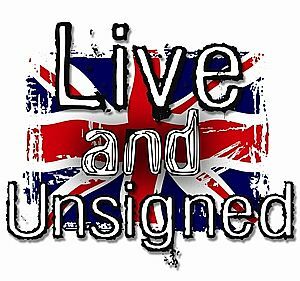 The winning act will be offered a recording contract and will also be invited on the UK Live and Unsigned tour. The winner of the New Music Award 2010 is The Organ of Corti, by liminal. Last night the PRS judging panel awarded liminal the £50,000 prize money to realise their pioneering new work. liminal is composer David Prior and architect Frances Crow. The Organ of Corti, named after part of the inner ear, recycles existing sounds in already sound-saturated environments. The group hopes to challenge expectations of what might constitute a piece of music with their composition, offering new ways of listening to what is around rather than adding sounds to the environment. The entry was chosen from a shortlist of five ideas by a panel of judges comprising music journalist Paul Morley, artist Martin Creed, singer and DJ Bishi, composer and pianist Michael Finnissy and pianist and conductor Joanna MacGregor. The work will premiere at the City of London Festival in July 2011 and then travel to the Tebay Gorge in the Lake District, the Cotswold Water Park in Wiltshire and Diglis Weir in Worcester for three further performances. This Sunday, 12 September, Kirkton Park will host the launch of the 3rd Bathgate Music Festival, which runs from Sunday 12th – Saturday 18th of September. The week long event kicks off this Sunday with a free family fun day in Kirkton Park, where local acts will be performing live in the park between 12.30 and 5pm. Bands lined up to play include: Fire and I, Flip Banshee, YAP Music, Columbia, Look Left Again and The Amorettes. There’s also a variety of musical acts at a host of venues throughout the town. 'Live at the Steelyard' on Saturday 18 September, will provide a lively line up of free musical entertainment between 11.15am and 3pm. Headline band Skerryvore - fresh from a hectic festival schedule which included a gig at T in the Park and performing at the World Expo Event in Shanghai - will also make an appearance before going on to perform later at the Regal Theatre, Bathgate. The Regal Theatre is the venue for the main concert programme which this year reflects the wealth of modern music produced in Scotland – from the powerful voices of Caledon to the madcap musical arson of Pluck, harmony outfit the Bevvy Sisters and the timeless style of Ken Mathieson's Classic Jazz Orchestra. The full programme of events from 12-18 September is in the festival brochure available now from shops and venues all over Bathgate and from libraries, community information and education centres across West Lothian. The St Helier Rock Music Crown 2010, an unsigned UK and Ireland talent competition, today, announced their three category winners. The winners are: Maria Marcial from Manchester winner of the Pop category, Leo LeVox from Birmingham winner of the urban category and Messiah from Edinburgh, winners of the rock category. Contestants had to submit an original track through the Music Crowns Website to be analysed by a judging panel which included the likes of UB40 Legend Ali Campbell, US R'n'B superstar Montell Jordan and lead singer of Skunk Anansie, Skin. Over 1000 entries were whittled down to a succinct, high calibre ten in each category via the scoring system before they faced the public vote, which took place throughout the month of August, to determine the winners of each category. Each winner takes home the crown trophy and secures a 1 year management/PR contract, an official website, record label exposure and a live awards presentation and performance at Cargo, London on Monday October 11th, 2010. - Maria Marcial's winning Pop track - "No Compromise"
- Leo LeVox's winning Urban track - "Safe"
- Messiah's winning Rock track - "Out Of Sight"
St Helier Music Crowns 2011 will begin the intake of new artists in January next year and promises to be an enhanced and evolved format with a 'live' performance within the voting stage a prospect. Snoop Dogg has signed up to front a campaign to crack down on internet fraud. The rapper has teamed up with anti-virus company Norton, to launch a promotional competition, The ‘Hack is Wack’ cybercrime rap video contest, to help raise awareness of cybercrime. ‘Hack is Wack’ invites rap enthusiasts to submit a two-minute video showing off their lyrical skills on the subject of cybercrime and a variety of related topics including hacking, identity theft, computer viruses, and why it is important to protect yourself from online crime. A panel of Norton representatives, and the rapper’s management, will judge submissions. Videos will be assessed on originality, creativity, rapping and performing skills, and delivery of a compelling anti-cybercrime message. 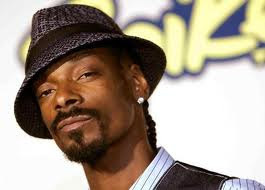 One lucky winner will net two tickets to a Snoop Dogg concert, a Toshiba laptop and the chance of a meet and greet with the rapper’s management and/or agent in order to understand the business issues surrounding making it in the music industry today. Closing date for the competition is September 30, 2010, and the winner will be announced October 20, 2010.